by now you should all know that i am a skincare junkie. i am on a constant search for that fountain of youth ahem, i mean great products that work for not only my skin type but fit other people's needs as well. 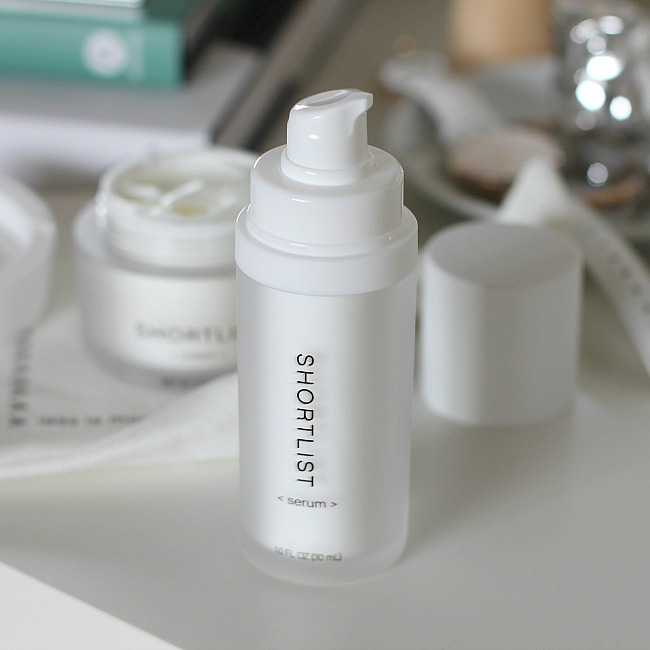 one of the most common complaints i hear when it comes to skin care is that people feel like they just don't have the time for a regimen - they want their skincare routine to be short and sweet. that is where SHORTLIST skincare comes in. not only does Shortlist believe less is more (don't believe me? just check their ingredients list) they also believe in simplifying your routine to get you your results quickly and efficiently. it is a new skincare system that contains a Serum and Cream which are potent alone but even more powerful when paired together. this magnificently performing duo is packed with benefits instead of fillers that are commonly found in other lotions. the products are designed for all skin types and ethnicities so no worries for you sensitive skinned mama's or darker skinned beauties. 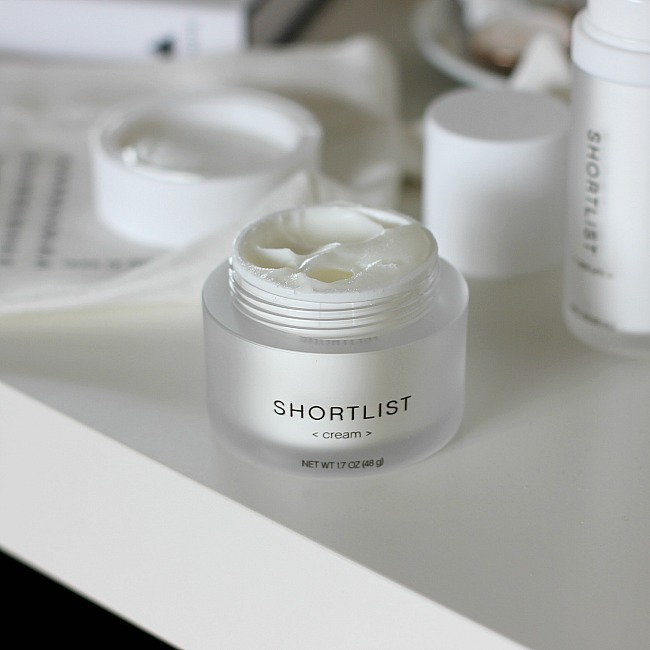 the Shortlist system itself is comprised of a serum and a cream. the serum provides short term results that lead to long term results. 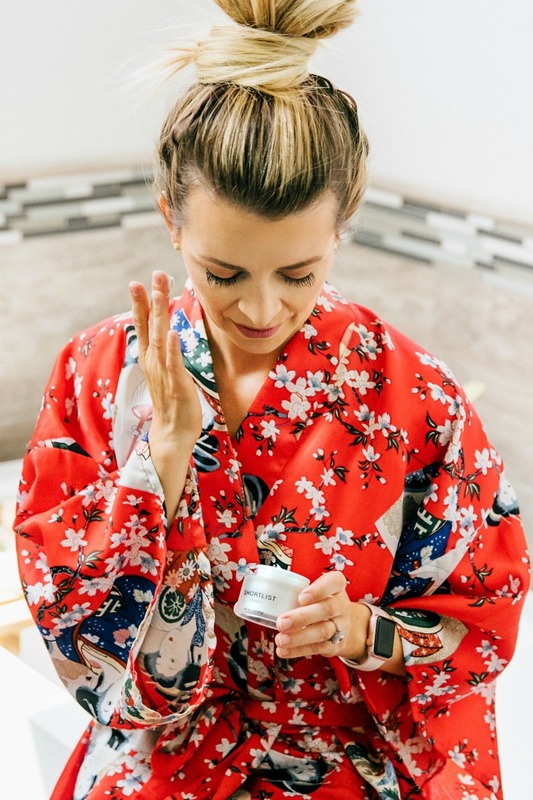 immediately you will notice that it moisturizes to repair existing dry and damaged skin and over time the skin cells will be energized with moisture to make your skin act and feel younger by helping your skins surface to regenerate. what is unique about the serum is that it helps to prepare your skin for the retinoid cream with key ingredients Niacinamide, Glycerin, and Hyaluronic Acid - all ingredients that help your skin increase its moisture. the cream is the second step of the Shortlist system. 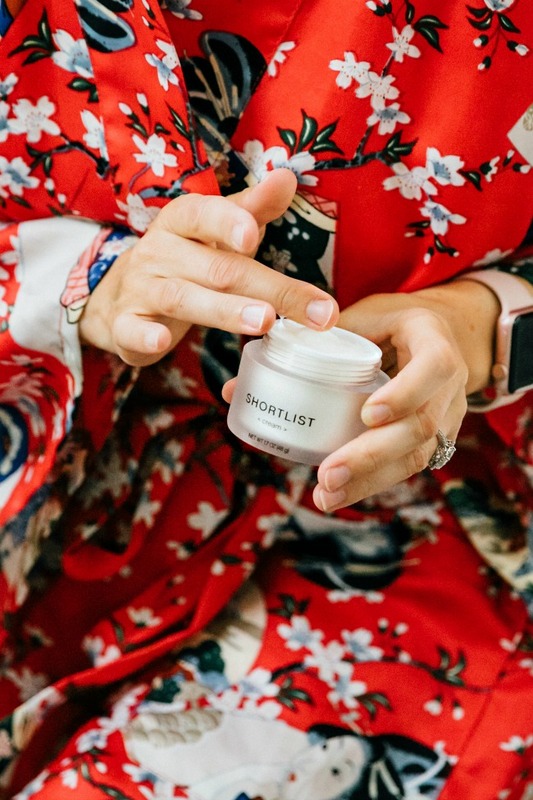 short term you will notice that it helps rejuvenate your skin by increasing the cell turnover which over time will help your skin diminish the look of fine lines and wrinkles. the cream is so effective thanks to a pro-retinol cream with only nine ingredients. for those of you who are looking for less ingredients, fewer steps but still interested in getting results, this is a great regimen to try.